Reading is a crucial life skill that each individual should have. The problem is many learners will spend hours reading and have no idea what they just read. Their eyes are moving across the page, but their mind is somewhere else. The end result is wasted time, energy, frustration . . . and having to read the text again. Although learners are taught how to read at an early age, many are not taught how to actively engage with written text. Active Reading is applying reading strategies before, during, and after reading a text with the overall objective of increasing comprehension (understanding what was read) and recall (remembering what was read) to save time and effort. This lesson aims to improve the reading comprehension and public speaking skills of learners by reading and delivering a speech on the book 7 Habits of Highly Effective People for Teens and connecting its principles to their lives. By completing this lesson, you will learn the steps to improve your self-image, build friendships, resist peer pressure, achieve your goals, and get along with their parents and others. Please view the lesson below and complete all of the activities in this lesson. 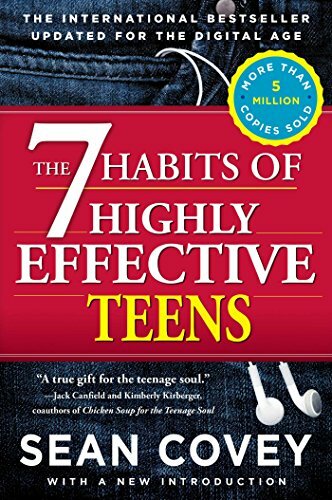 For this lesson, you will need to have access to the book, 7 Habits of Highly Effective Teens. IN THIS ACTIVITY YOU WILL ANSWER WARM-UP AND PRE-READING QUESTIONS. ACTIVITY LEARNING OBJECTIVES: IN THIS ACTIVITY, YOU WILL DESCRIBE YOUR PERCEPTIONS OF YOURSELF AND YOUR ABILITIES AND ANSWER PRE-READING QUESTIONS. Click the assignment icon to review and complete ACTIVITY 1 - ASSIGNMENT A. You need access to your Gmail/Google drive account to access the assignment. Click the button below to add the link (URL) of your completed Activity 1 - Assignment A.
Click the button below to complete the Activity 1 - Assignment B. 1. How do your habits either make you or break you? 2. What seven habits do you have that make you a great person? 5. Write three preliminary questions do you have about 7 Habits of Highly Effective Teens? IN THIS ACTIVITY YOU WILL WATCH A VIDEO, TAKE NOTES, RESEARCH, AND COMPLETE A QUIZ ON ACTIVE READING. Watch the video on Active vs. Passive Reading below. Take notes on the important points of the video via a notebook or google docs. Upload your notes to your google drive and add the link (URL) in the appropriate section in the Activity 2 Quiz. Click the button below to complete the Activity 2 Quiz. Click the button below to answer a few questions based on your notes taken from the video and reading above. Some of the required information may not be found in the video and needs to be researched from outside sources. TRY YOUR BEST! YOU CAN SUCCESSFULLY COMPLETE THIS QUIZ IF YOU SHOW GREAT EFFORT. b. Why is the author talking about this? c. Do I know what this word means? What is the difference between passive reading and active reading? IN THIS ACTIVITY YOU WILL WATCH A VIDEO, READ PART 1 (CHAPTERS 1 & 2) OF THE BOOK “SEVEN HABITS OF HIGHLY EFFECTIVE TEENS,” AND COMPLETE THE PQ4R READING ASSIGNMENT FOR EACH CHAPTER. Watch the video on the Active Reading Technique - PQ4R. Click the assignment icon to review and complete the PQ4R active reading assignment for each chapter. Click the button below to complete Activity 3 - Assignment B.
Click the button below to add the link (URL) of your completed Activity 3 - Assignment A. Add the link (URL) of your completed Activity 3 assignment, (Chapter 2), in the space below. IN THIS ACTIVITY YOU WILL WATCH A VIDEO, TAKE NOTES, AND ANSWER QUESTIONS ABOUT THE IMPORTANCE OF PUBLIC SPEAKING. Watch the video on the importance of Public Speaking. 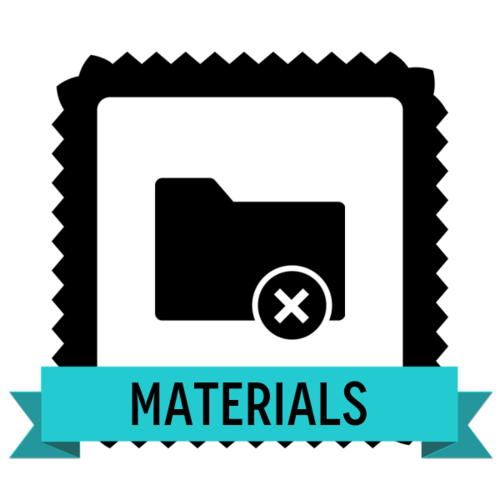 Upload your notes to your google drive and add the link (URL) in the appropriate section in the Activity 4 Assignment B.
Click the button below to complete the Activity 4 - Assignment B.
CLICK HERE FOR A PRINTABLE VERSION OF THE ACTIVITY 4 ASSIGNMENT A. Submit the link (URL) of your video and or reading material notes for this activity in the section below. Please answer in 30 words or more. What didn’t you understand from this activity? IN THIS ACTIVITY YOU WILL READ AN ARTICLE, WATCH A VIDEO, TAKE NOTES, AND WRITE AN INFORMATIVE SPEECH ON THE SEVEN HABITS. HOW TO RESEARCH, OUTLINE, AND PREPARE AN INFORMATIVE SPEECH. THE TYPES OF SUPPORTING DETAILS USED IN AN INFORMATIVE SPEECH, AND BE ABLE TO MAKE CRITICAL DECISIONS ABOUT WHICH ONES TO USE IN DIFFERENT SITUATIONS. Watch the video “Organizational Structures of Informative Speeches. Click the Assignment icon to complete the Activity 5 - Assignment A. IN THIS ACTIVITY YOU WILL WATCH A VIDEO, TAKE NOTES, AND PREPARE TO PRESENT YOUR SPEECH. Watch the video on the 10 best tips to deliver a presentation. Upload your notes to your google drive and add the link (URL) in the appropriate section in the Activity 6 Assignment B.
Click the button below to complete the Activity 6 - Assignment B.
Click the button below to answer a few questions based on your notes taken from the video above. Some of the information may be new to you, and you are more than welcome to research. TRY YOUR BEST! YOU CAN SUCCESSFULLY ANSWER THE QUESTIONS IF YOU SHOW GREAT EFFORT. Your answer should be 25 words or more. Your answer should be 35 words or more. Your presentation should include five or more slides or visual aids. If you are using Google Slides or any other digital presentation platform for the first time, research how to use it, and add the URL or URLs to the training videos and reading materials used to help you learn how to design your presentation. Click the button below to add the link (URL) of your completed Activity 6 - Assignment C.
4. Add the URL of the presentation design platform training video or article # 1. 5. Add the URL of the presentation design platform training video or article # 2. IN THIS ACTIVITY YOU WILL WATCH A VIDEO, TAKE NOTES, AND DELIVER YOUR SPEECH ON THE SEVEN EFFECTIVE AND DETRIMENTAL HABITS OF TEENS. EFFECTIVELY PRESENT INFORMATIVE SPEECHES ON VARIOUS TOPICS. Watch the video on Good vs. Bad Public Speaking. Deliver your speech on the seven effective and detrimental habits of teens. Record your speech and upload it to YouTube or Vimeo and add the link to your speech in ACTIVITY 7 - ASSIGNMENT - B.
Click the button below to add the link (URL) of your completed Activity 7 - Assignment B. IN THIS ACTIVITY YOU WILL COMPLETE A REFLECTION AND FEEDBACK QUESTIONNAIRE. Please answer with 20 words or more. 6. Did you put in the effort to achieve a result you are proud of? The instructions for the lesson were clear and easy to understand. The lesson was easy to navigate. Thank you for completing this lesson. If you are interested in learning your score for this assignment? Click here to speak to one of our Instructional Specialist. INTERESTED IN THE ANSWERS FOR THIS PROJECT OR WANT TO SPEAK TO SOMEONE ABOUT OUR PROGRAMS?